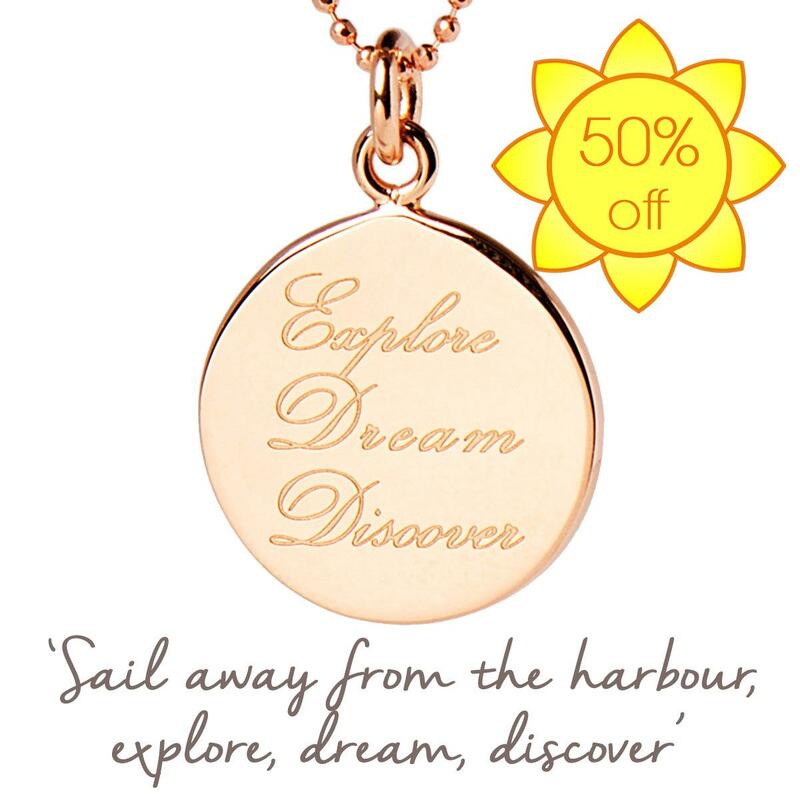 Inscribed with ‘Explore, Dream, Discover’, from a longer Mark Twain quote, wear this necklace as a reminder to get the most out of life - embrace each moment, explore everything life has to offer, travel, and dream big. Perfect gift for Bon Voyage | new job | starting university or a new adventure | an inspiring treat. It is presented on a beautiful card to keep, with an inspiring image on the front, and space on the back for your personal message. Buy this as a thoughtful gift for a loved one or friend who needs a gentle reminder to live their lives to the full, or as a good luck talisman to anyone embarking on a new adventure. The perfect travelling gift, new job, starting university, or even retirement gift; or inspiring treat for yourself. Mantras are powerful words, designed to have a positive effect on how we feel. Repeating a mantra uplifts us; it reassures and motivates us. Most powerfully of all, it can bring self-belief. Hold your piece of jewellery from time to time through the day, and say its mantra to yourself, when you need motivation or inspiration. 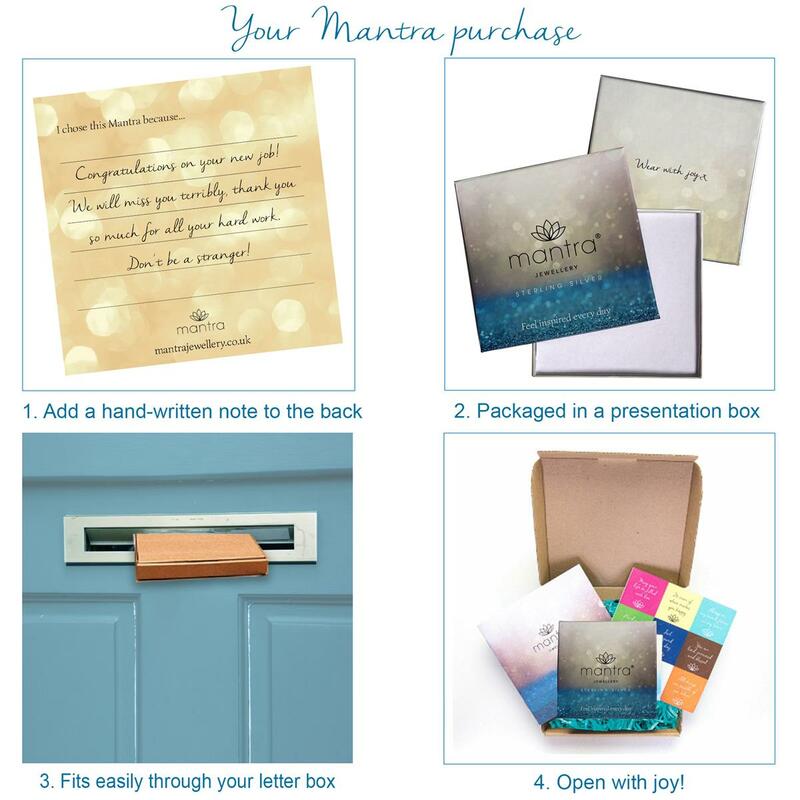 We created Mantra Jewellery to provide you with you a precious, wearable and permanent way of keeping your mantra close to you, whether bought for yourself or received as a gift. 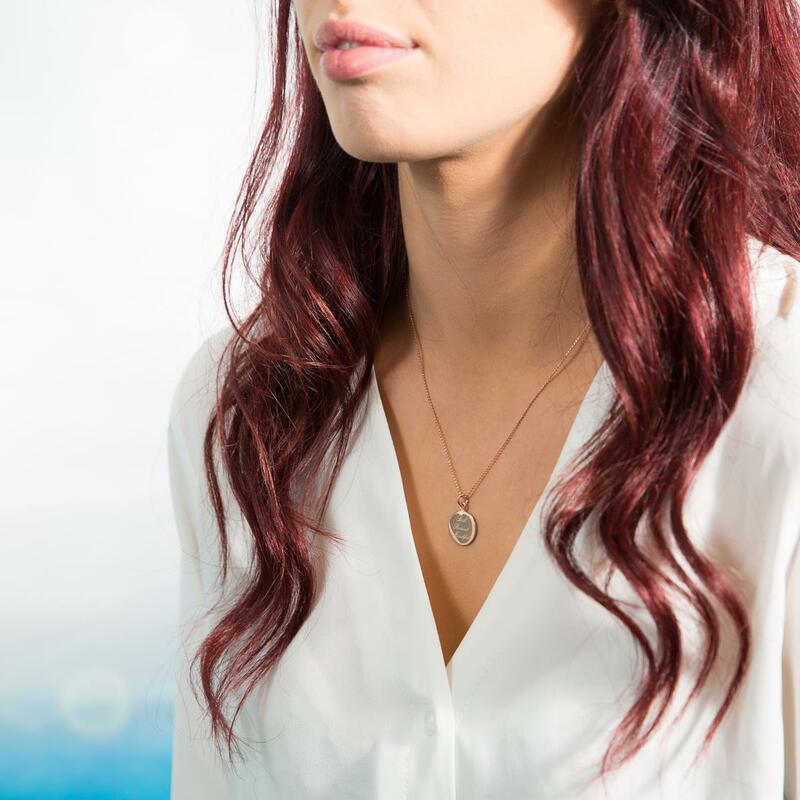 Wear your Mantra Jewellery to bring inspiration every day.